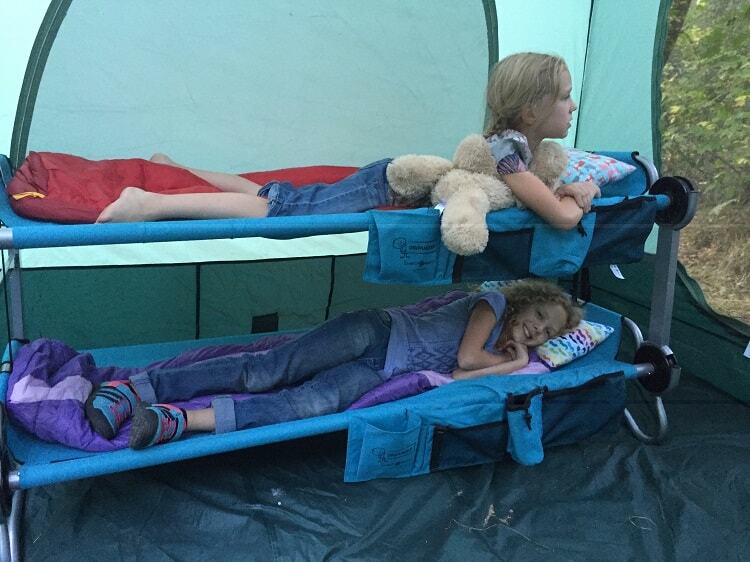 What to Look for in a Camping Cot? Camping can be an undertaking in itself, but there is no need to sacrifice a good night’s rest. 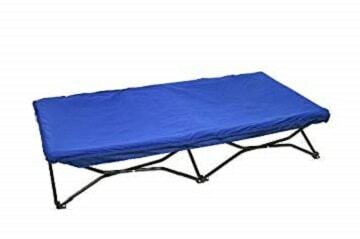 With this camping cot, you get all the comforts you need without any non-useful additions. Sleeping on the ComfortSmart Cot allows you to rest all night and wake energized to tackle the day. The folding camping cot from Coleman offers bed-like comfort and provides superior support with coil suspension system and thick foam mattress. Its durable steel frame can support up to 275 pounds and can accommodate most people up to 5 feet 7 inches tall. If you’re taller, give the deluxe version of this cot a try. The portable design fits into most car trunks when folded and even though it’s not the lightest cot we tested, can easily be carried at 18lbs. Be sure to thoroughly go over the entire cot and mattress when you receive it. If you note any problems, contact Coleman, they have awesome customer support. The Helinox cot from Big Agnes is lightweight enough to take backpacking at only 2.6 lbs. The Cot Lite is a very lightweight, comfortable option for those backcountry nomads looking for more support than a pad but still enough room in the pack for the essentials. The Cot Lite is very simple to set up and, although lightweight, is still constructed with durable and strong poles and tension lock handles so you get what you pay for. At 5″ high and 8″ wide this lightweight (under 3lbs) and durable constructed folding camp cot is a perfect solution to not sleeping on the ground. Comes with a storage bag with zipper closure and grab handles create tension when cot is closed so it’s secure. Pick up some furniture moving disks to place under cot feet to prevent holes in the tent. Take the entire family camping and fill the tent with these ultralight, heavy duty cots. At only 4.4lbs the KingCamp compact cot fits most people up to 6’2”and supports up to 265 lbs. Its packed size of 14 × 5.1 × 5.1 inches makes it a cinch to carry from the vehicle, while the set up size of 75 × 25 × 4.7 inches is more than enough for a very cozy night’s sleep. Made with durable aerial aluminum alloy rods, 420D rip stop polyester fabric and two elastic straps to keep your mat from slipping. You can even put the storage bag into the pillow bag to get another pillow. The simple, four stents design makes for easy set up and take down; making it a great choice for backpacking, camping, traveling, hiking and other outdoor activities. Get a good rest with this light compact cot anywhere. Pick up the KingCamp soft cotton sports camping sleeping pad, perfect for camp cot bed and you will be set up. There is nothing like sleeping on a cot outdoors. 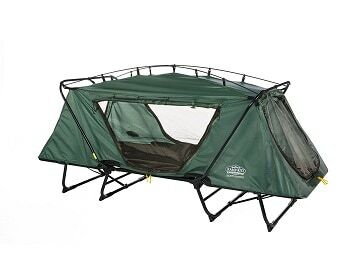 During chilly weather, the Kamp-Rite Tent Cot with rain fly gets you off the heat-stealing ground, and when the hot weather hits, the cot allows your body to take advantage of brisk nights. This cot is a versatile piece of outdoor equipment that has a tent built on top of a sturdy aluminum frame. Built from 210D Poly Oxford fabric with a 1500mm PU waterproof coating. The no-see-um mesh doors and windows and rain fly provides plenty of ventilation and protection from the elements when needed. The Oversized version of the Tent Cot is built to accommodate taller campers and to give more “elbow-room” for other campers. The “dome style” design allows for extra headroom. The cot features the ability to tilt one end allowing you to enjoy the relaxing comfort of a lounge chair during the day. The weight limit for this item is 350lbs. 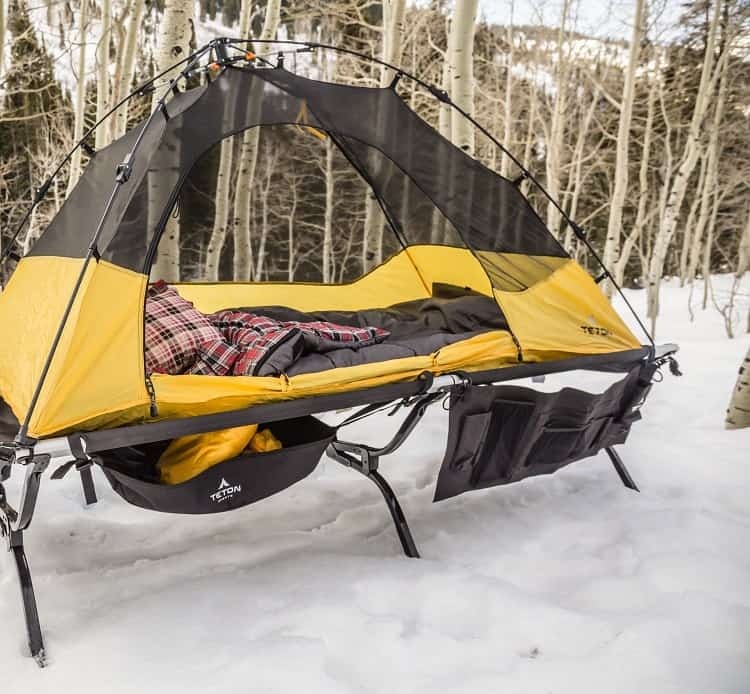 Simply put, whether you’re camping, fishing or traveling cross country it doesn’t matter, this off-the-ground sleep shelter ensures superior protection from the elements and delivers a level of comfort and convenience making it perfect anywhere. The Regalo My Cot Deluxe Portable Toddler Travel Bed is a portable, multi-functional cot for your little one. Made entirely of steel and covered with a sturdy canvas material, the cot liner includes reinforced stitching for added security. As an extra comfort feature, the portable toddler bed includes a deluxe sleeping bag with pillow that fits snuggly over the frame. Designed to set up in seconds and fold down compactly with a single motion the simple fold and go system is quick and easy to use. It’s washable; the canvas can be washed off with a damp cloth and soap. The fitted sheet is machine washable on delicate and should be air dried. Perfect for activities both indoors and outdoors. Weighing just four pounds, the cot is designed to handle children up to 75 pounds. Recommended for little ones six or younger. You now know which cots we think are great, but these aren’t the only ones on the market, and you may want to do a bit of your own research before buying. So, we’ve complied some information on the factors that you’ll want to look closely at, before buying a camping cot. There are two parts to consider here, when you are shopping for a camp cot. The material of the frame and the material of the sleeping platform. Cots come in a variety of combinations, so you’ll want to find what works best for you. Sleeping platforms are generally made of some sort of synthetic canvas or other heavy duty material. The weight of the platform material will differ between brands, and should be a consideration for you when you are buying your camp cot. If you are a smaller person, you can get away with a lighter material sleeping platform. If you are a big guy and need a little more support, look for cots with heavy-weight (400D or more) canvas. This will ensure that you have plenty of support to keep your cot from sagging. Also, having the right weight sleeping platform will help you extend the life of your cot, by reducing the risk of seams tearing. The frames of sleeping cots come in a couple of different materials. You’re options are generally limited to aluminum or steel. There are pros and cons to both materials. Aluminum is lighter weight, so if you want a cot that is more portable, aluminum is your best bet. Aluminum is prone to bending and denting easily, so it’s not always the most reliable material, especially if you have rambunctious kids or need a cot for someone who is larger in stature. Another benefit to aluminum is that the legs of aluminum cots can be friendlier to tent floors. Steel frames are awesome and so sturdy. Cots with steel frames are great for everyone from your littlest tykes to that extra-large guy in your crew. Steel frames stand up well to the test of time and abuse. However, they are HEAVY, if you want a steel frame cot, plan on adding some weight to your gear. The other problem with steel frames is that they can rust if they get wet. So keep them out of the rain and store them somewhere dry. Nothing reduces the life of a steel frame cot like a little water. It’s hard to pin down a size when it comes to cots. There are so many options for size on the market today. We offer this advice when you are shopping for cots. Give yourself, plenty of space so you can sleep comfortably. If you are prone to tossing and turning, make sure that you find a wider cot that gives you some room. If you are a tall person, make sure that you find a cot that you can stretch out on. Height is also a consideration, if you’re shopping for a cot for your kiddos, you may want to consider a cot with shorter legs, ensuring that your kiddos don’t fall from a cot on to the hard ground under the tent. When you are considering the comfort of a cot, you really need to know what you like when you sleep. Do you want a firm sleeping surface with no give? Do you want to use your own pillow? Does comfort mean having a bedside table or attached storage? Some folks just want a cot that they can throw their sleeping bag on top of, while others really want a little extra cushion. Some cots come with extra padding, built in pillows and side tables, others are just a simple piece of canvas stretched over folding legs. What you want in comfort from a cot, is a matter of personal preference, but there are options galore on the market to make any camper happy. Here’s the deal, camp cots are generally not made for those backcountry pack trips. Though if you are willing to carry some extra weight for the sake of comfort, there are some relatively light options out there. Cots are generally bulky and can be heavy. 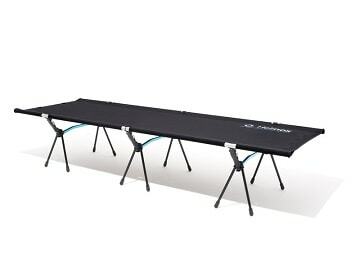 So, when you are buying a camp cot, portability really depends on how far you expect to carry the cot from your tent, and how easily and compactly it folds down and fits in your car. When looking at cots, weights range from under five pounds to over 20 pounds. Some of these cots fold up nice and compact, while others are bulkier. For those larger cots, to improve portability, consider products that have handles or carrying bags. The durability of your camp cot really goes back to material. If you want a highly durable and long lasting cot, look for ones that are steel framed and have heavy duty canvas platforms. You will pay more for these cots, but you can rest assured knowing that your cot is going to last a long time, and probably will take a beating and still be comfortable. Certainly when you are shopping for a camp cot, you’re going to want to consider where you are camping. Are you sleeping in a big tent? Will you be sleeping in the back of a truck? What about something like a camping cabin? 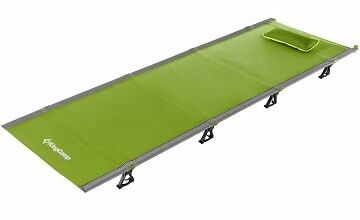 Where you’ll be setting up your cot is an important factor in selecting the right camping cot. If you are going to be in tight quarters like a smaller tent or the back of pick-up, you will probably want to consider a smaller cot, with short legs. This will give you the comfort of the cot, without taking up a ton of room. On the other hand, if your accommodations are a little more spacious like a multi-room tent or an rv, you may want to purchase a larger cot, with taller legs, giving you a more “bed-like” sleeping experience. Still need more information to make the right camp cot selection for your next outdoor adventure? Here are some questions and answers that we commonly hear from folks who are shopping for camp cots. 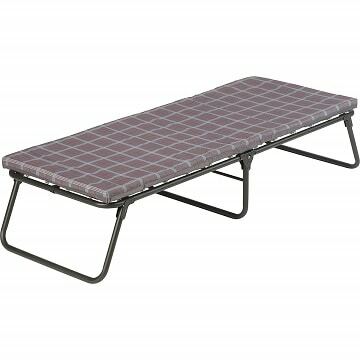 Are Camp Cots Comfortable to Sleep On? Camp cots can be incredibly comfortable to sleep on. In fact, many people who do lots of car camping prefer camp cots to air mattresses or sleeping pads. Comfort can be maximized by making sure that you buy the right cot for you. Make sure it gives you plenty of room to move, and if you’re a tall person, that you buy a cot that is long enough that your feet don’t hang off the edge. Many camping cots on the market today come with a ton of bells and whistles. So, if you need some extra padding or a cup holder to increase your level of comfort, you should be able to find the perfect cot for you. 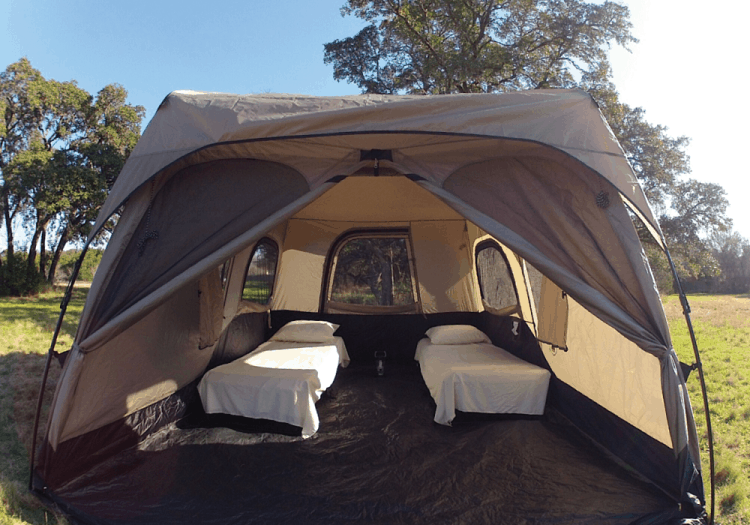 What is Best for a Tent – a Camping Pad or a Cot? The answer to this question really depends on what kind of camping you do. If you spend a lot of time backpacking, your best bet is a camping pad. They are lightweight, and easily strap to your pack. Of course there are lightweight cots that can work for backpacking, but they are very basic and don’t fit all shapes and sizes well. Cots also take a bit more space in your tent than a camping pad, so if you’ve got a tiny tent, you may want to stick with a pad. Camping cots are really great for car camping or if you’ve got a bigger tent. If you don’t have to haul your gear a long distance and have a multi-room tent cots are a great alternative to camping pads. They get you off the ground, and help you avoid rocks and bumps that you inevitably find when you’re sleeping on the ground. How to Set Up a Camp Cot? We’ll start with the simplest advice. If your camp cot is new, it should come with really good directions, so make sure that you follow them closely, the first few times you use your cot. Cots generally just fold out, kind of like a camp chair. You may have some locking mechanisms to put in place, to keep legs sturdy, so make sure those are in place and tight. While you’re setting up your cot, you might want to think about some extras that will protect your tent from the feet of your cot. We would suggest small squares of carpet under each leg or even the bottom of a plastic bottle will work. 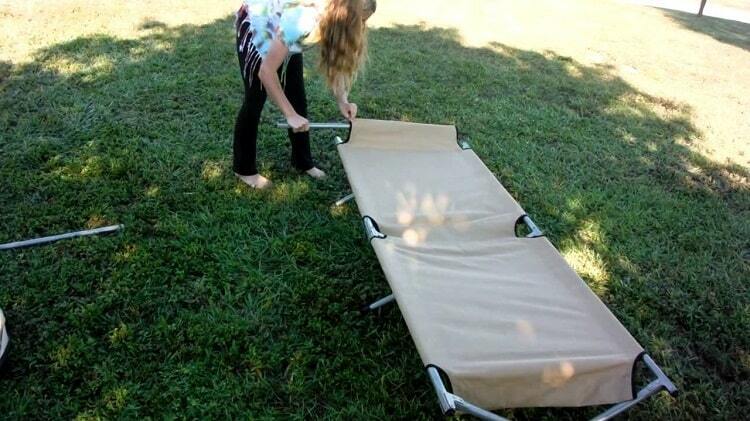 This will protect your tent floor from ripping just in case things get crazy! How to Make your Camping Cot Warmer? One of the downfalls of camping cots is that they can be cold. Because you are off the ground, the cool air in your tent can linger under your cot, and make you cold. There are some ways that you can improve the warmth of your cot, to keep you cozy all night long. First, you may want to consider a cot that is low to the ground. With less space underneath, you limit air movement under your body, so you stay warmer. If you like a taller cot, there are some easy solutions to keeping warm. First, you can purchase a pad to place on the platform. This will give you extra cushion and an extra layer of protection from the cold. Many cot pads have fleece covers so not only are they warm, but they are also soft and cozy. Second, if you have enough space under your cot, you may want to store your duffels and other gear under your cot. This works like a shorter cot, by limiting the air movement under your cot. This is also a good way to free up space in your tent. How to Clean Your Camping Cot? So, camping is dirty, and eventually your cot is going to need a little TLC. For the most part, cots can easily be cleaned with just a little soap and water, and a sponge or wash cloth. If you are at home, laundry detergent is a great option, since it’s made for fabrics, but a little dish soap will work great too. Soap and water is also a good solution if you’ve experienced a disaster during your camp trip. If you’ve got big stains, consider using a steam carpet/upholstery cleaner to breakdown stains and release odors. Just remember, no matter where you are or what method you’ve selected to clean your camp chair, make sure to allow your cot to dry completely before you pack it back up, or you could end up with mold and mildew on your cot. The difference between a cheerful camper and a disgruntled one can be determined by how well they slept the night before. A relaxing all-night snooze makes a world of difference. In the instance of camping cots, elevating your sleeping arrangements off the ground can really make or break a night’s sleep, especially in inclement weather. Whether you’re headed out into the rough, pitching up next to a lake or just lounging in the campground, we hope our selections of the best camping cots will offer an option that’s right for you! We want to hear about what products our customers are choosing and why, so let us know, in the comments below, which camping cot you chose for your best night sleep in the wild.